Hi! I’m Andrew. 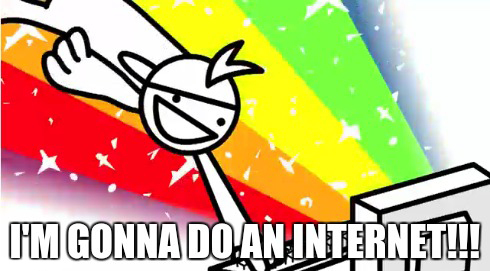 I’m a graduate from a unique crossover program in the Bachelors of Information Technology specializing in Interactive Multimedia and Design at Carleton University and Algonquin College. Quite a mouthful! I know. I consider myself a Jack of all trades. I’m a graphic/web designer, video game nerd and tech geek, bike and running enthusiast, Media-X gopher, and personal chauffeur to the grocery store for Friday lunches. My ultimate passion is to better myself and help others. In University, I experienced everything for what it was worth and took it all in. I continue to do that in my work today! I immersed myself into the design and technology field surrounded by people who were also interested in it. It was certainly an environment in which I was happy and willing to engage and listen. As time went on, I realized that technology not only helped me find what I love doing… but it’s certainly made it possible to become a career I could relish. I have previous freelance work under my belt. I’ve filmed and edited web videos focused on nutritional health. I’ve assisted by being a director, lighting, and camera operator for a small promotional campaign in a hair salon business. I’ve built websites from scratch and by using a content management system (CMS), WordPress, for several businesses. Then I joined the Media-X team! I’m loving it here. I took this picture outside our office building when the flowers were blooming in late Spring, just after a rainfall. 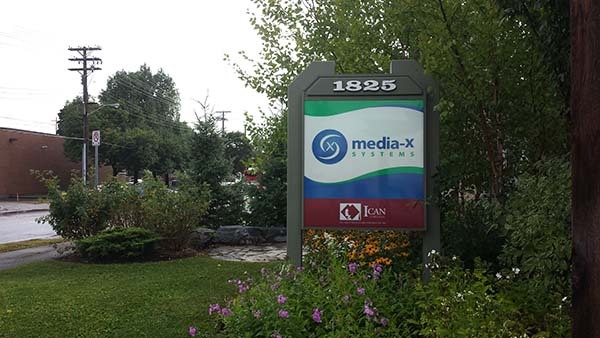 I joined Media-X part time in May 2014, during my third year of University. The contribution of which I am most proud is the complete redesign of the entire Media-X website using a premium theme called Divi in WordPress. The main purpose of the re-design was to allow for accurate representation on a variety of screen sizes and resolutions on mobile devices, tablets, and browsers. Take a look for yourself! 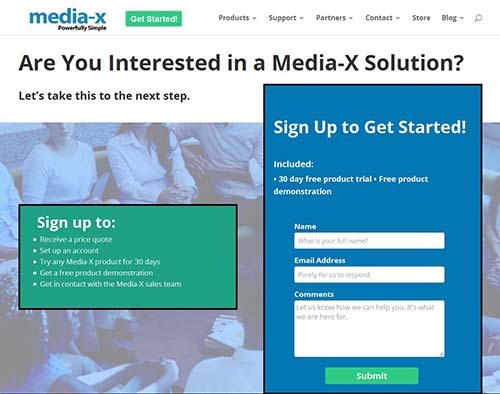 https://media-x.com. This is an example of our Support hub. For each link, we created a custom flat design graphic in Illustrator. This is an example of our Get Started page for clients of eWalk, iCoach, mVal, etc. 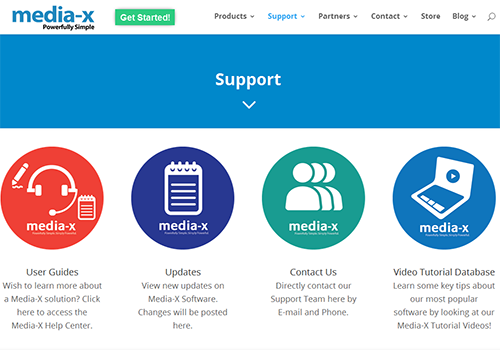 Connor, who is our Marketing Director, and I now continuously update the site, keeping it visually appealing with a modern ‘look’, and making it useful as an information tool for visitors interested in Media-X software. With the introduction of new web technologies, we can communicate the purpose of our products in a more meaningful and visually appealing way than ever before. Connor and I use WordPress. 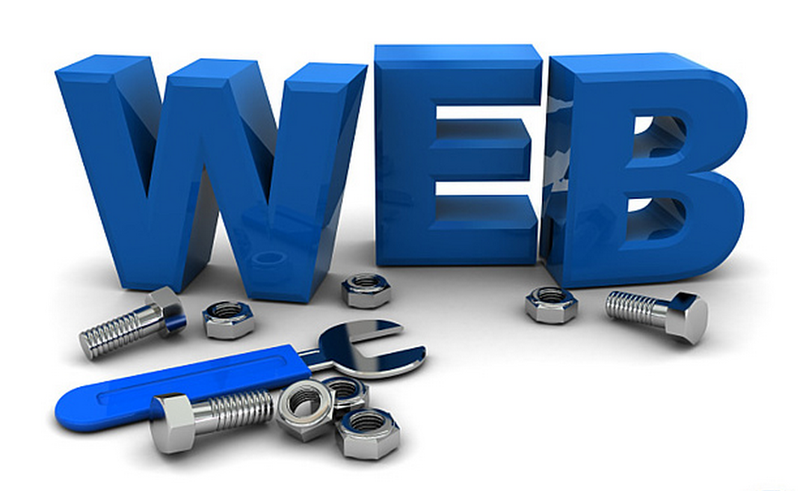 It’s a CMS that allows us to work simultaneously on different tasks throughout the website. WordPress stores revisions and uses a custom web builder to create elements that are user friendly to allow anyone to use it without a substantial amount of coding knowledge. This helps us make our tasks more efficient and productive by allowing us to collaborate and dividing critical tasks between people. Technology has allowed us to not only communicate more effectively, but it’s allowed us to work more efficiently in the work we perform. Technology is actually quite new, and can be frightening. The earth is 4.5 billion years old and humans have only been in existence for the last 100,000 years. We are now on the verge of a technology revolution that has been in the making for the past century. This is quite mind blowing. We’ve created a modern world that revolves around technology to complete our daily tasks faster than ever before. We know a lot about how technology is evolving in regards to the tech world and in our lives but I don’t think we truly can comprehend how so much technology will continue to impact us as a society. We use technology to facilitate communication with other people. We use technology to speed up processes and automate repetitive tasks. We are gradually doing away with paper-based files and transitioning to electronic storage. We use technology to improve educational systems for students and teachers. We use technology to improve efficiency. Access to information is making the world a smaller place. Automation is becoming a big priority for the Media-X team. 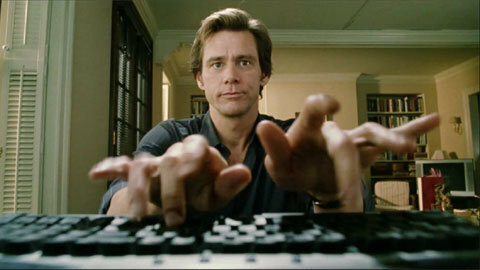 Take for example the movie, Bruce Almighty. Remember the scene, where Jim Carrey took on the role of God? View here for the whole video. He decided to create a file management system to store millions of prayers from people all over the world. He first choose to store them as physical files and post-it notes. Then he found out that the physical space and timelines to sort through all the data would be out of control. He came up with a brilliant idea! Email! He exclaimed, “Lets store them as all as emails and call it the Revelation Superhighway”. He continued to answered them individually. It still took way too long to complete the task. So he decided to automate it all by creating an “Answer All” button and replying with “Yes”. That should solve everything! Right? …right? This is a complete exaggeration of automation. However it does go to show how you can automate responses to emails in accordance to what the customer typed. Repetitive tasks can now be done much faster through the internet. Our entire way of thinking has changed. This guy down below has some idea of what the Internet is all about! I’ll be taking on a new role in QA (Quality Assurance) to help with developing tests and getting the testing automation off the ground for our products in mxWeb. We will be using a new automation tool called Test Studio from Telerik. By automating the entire process, this will offer us a savings of time and effort. It will allow us to discover a majority of bugs and ultimately improve the structure of our applications for the benefit of our users. We’ll see how this comes along in the coming months. Technology is commonplace in the modern world today. From sending emails and video conferencing, to webinars or brewing a cup of coffee (we really do this a lot at work or I don’t know how anything would get done), offices today are immersed in technology. Even when we return home and plunk ourselves in front of our high definition TV’s and smart remotes, we continue to be in the middle of the ongoing change of a new generation. How has technology changed your life? Has it benefited you in your work, school, or free time? Why or why not? Do you think that automation is key to efficiency in what we plan for the future? Please leave your comments below. Thank you.